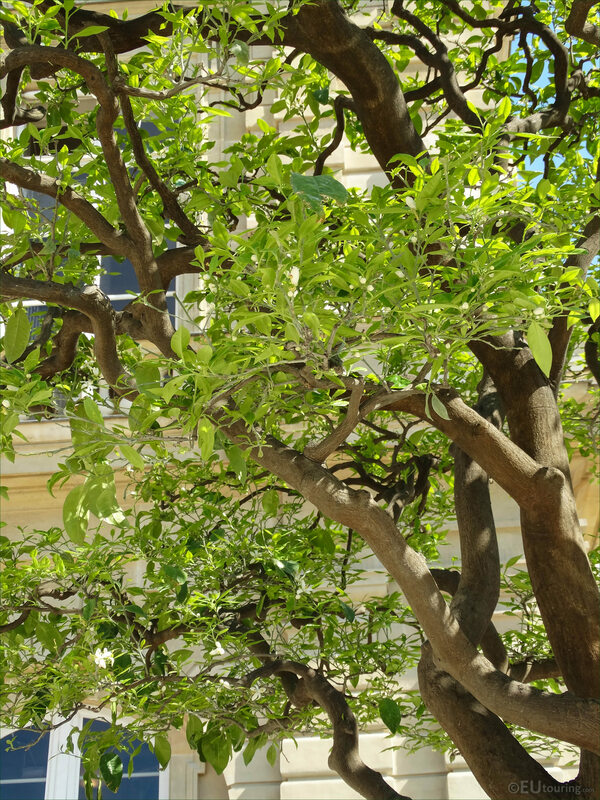 We were within the Jardin du Luxembourg in the 6th Arrondissement of Paris, when we took these high definition photos showing one of the historical Bitter Orange trees in pot 150, called a Citrus Aurantium. 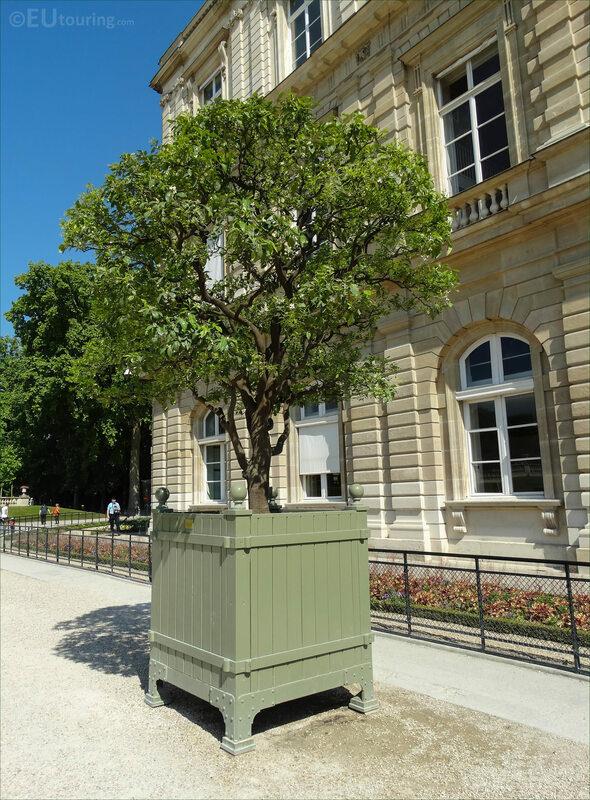 This first HD photo shows one of the very historical Orange Trees, which is actually a Bitter Orange variety, that has a Latin name of Citrus Aurantium, and this was positioned on the southern side of the Palais du Luxembourg closest to the left wing within the Luxembourg Gardens. 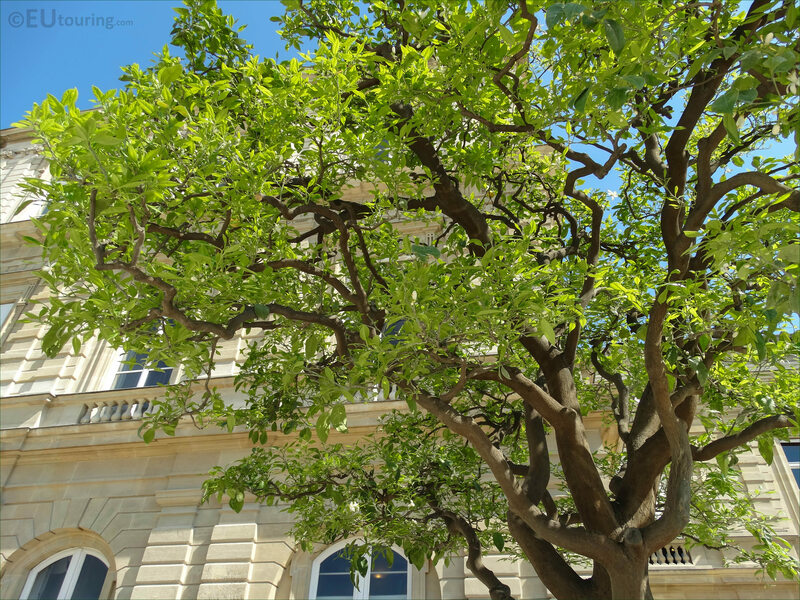 Now these particular Bitter Orange Trees that are positioned in front of the south facade of the Luxembourg Palace are between 250 and 300 years old, so hence why they are so historical, and they are brought out from the Orangerie every year between the months of May and October, so that any visitors to the Jardin du Luxembourg can enjoy them. So here you can see some of the bark, branches and leaves of the Citrus Aurantium, which goes under different names such as Sour Orange, and this is a Bigarade variety, that is also often referred to as a Seville Orange, due to the fact that is grown throughout the Mediterranean and especially in Andalucia and is prized for making marmalade, with large quantities shipped from Seville to the UK every year for this purpose. 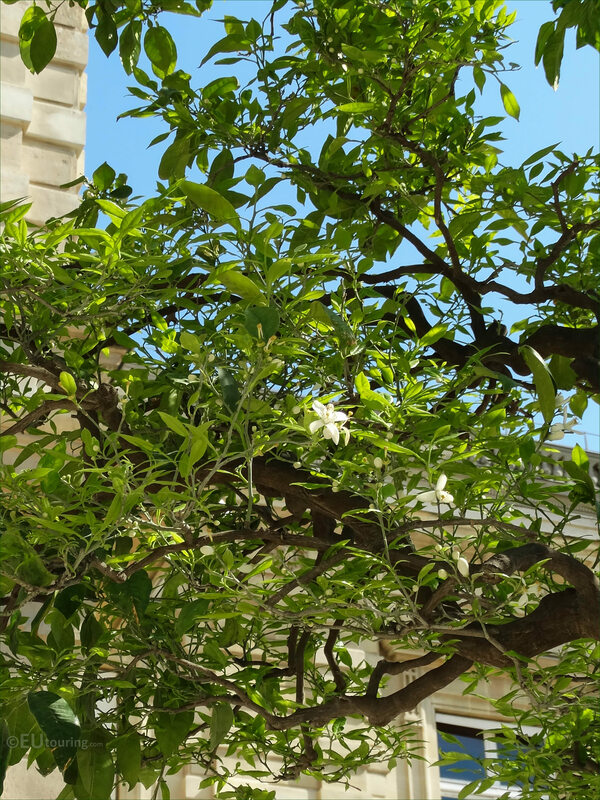 However, this is why you will not see the orange trees in their wooden crates outside in the Jardin du Luxembourg during the winter months, as they could not survive the colder weather in Paris, hence they are maintained within the Orangerie, but here you can also see some of the pretty white flowers that this Citrus Aurantium produces between approximately April and until the end of June. 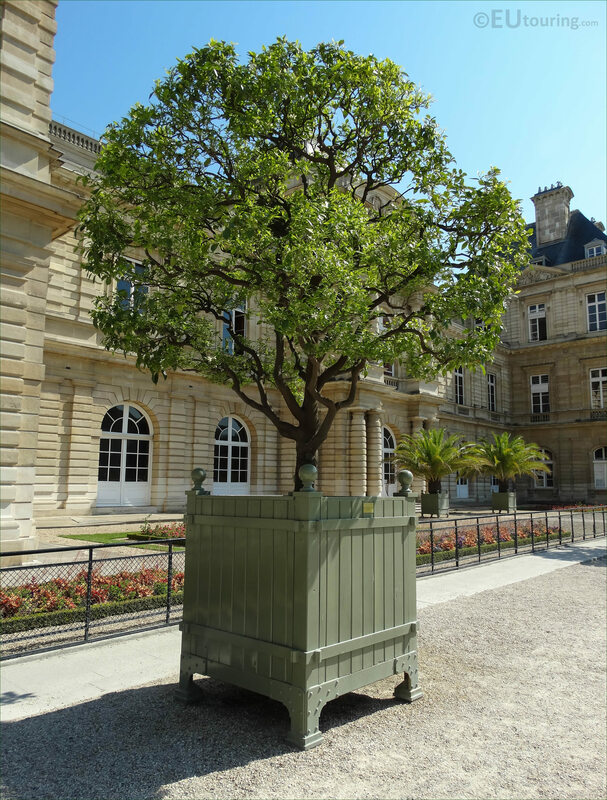 The wooden green crates are made with oak panels, and each one has a plaque with a specific number, and in this case, as you can see in this close up photo, it is Pot No 150, and the orange trees are replanted into a new crate every twelve to fifteen years when the 4cm thick oak panels start to rot, yet in this image you can also see that the orange tree also comes from India and Burma where it has many different uses. 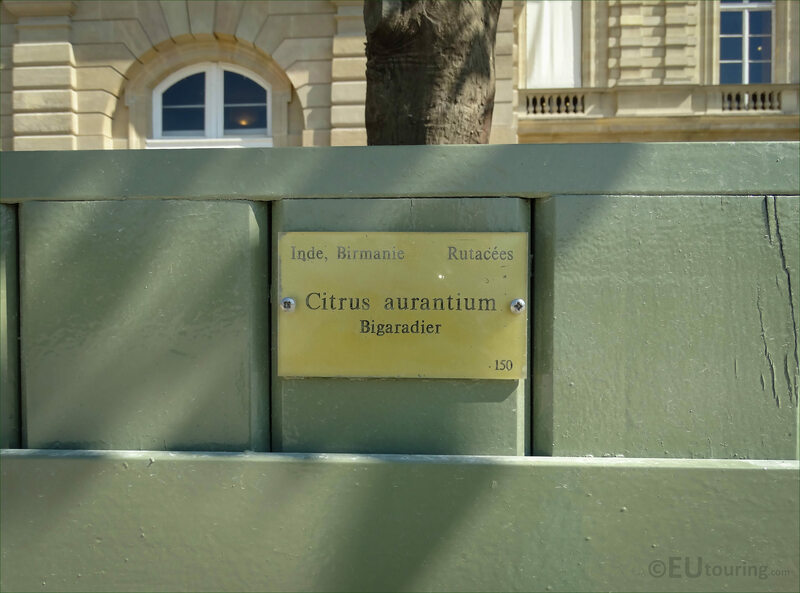 And this last photograph shows a part of the Citrus Aurantium Orange Tree, which is actually an evergreen and thrives within sunny warm conditions, and you will find that all fruit produced within the Jardin du Luxembourg is provided to a local humanitarian association including the apples and pears, etc from the orchard that go to the local soup kitchen.